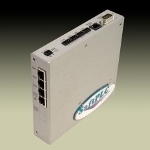 SoftPLC's Smart Netboxprovides more functionality and more options at 47% lower cost than Rockwell Automation's 9300-RADES remote access modem! Purchase your first Smart SoftPLC or Smart Gateway by April 30, 2010 and get FREE programming and configuration software. Save up to $950! Contact SoftPLC or your local SoftPLC Distributor for details, system quotes, etc. Why use a Remote Access Modem? Send this email to someone you think may be interested. Do you do Hydropower? Please visit us at HydroVision in Charlotte, NC July 27-30, 2010. Contact SoftPLC for free exhibit passes.